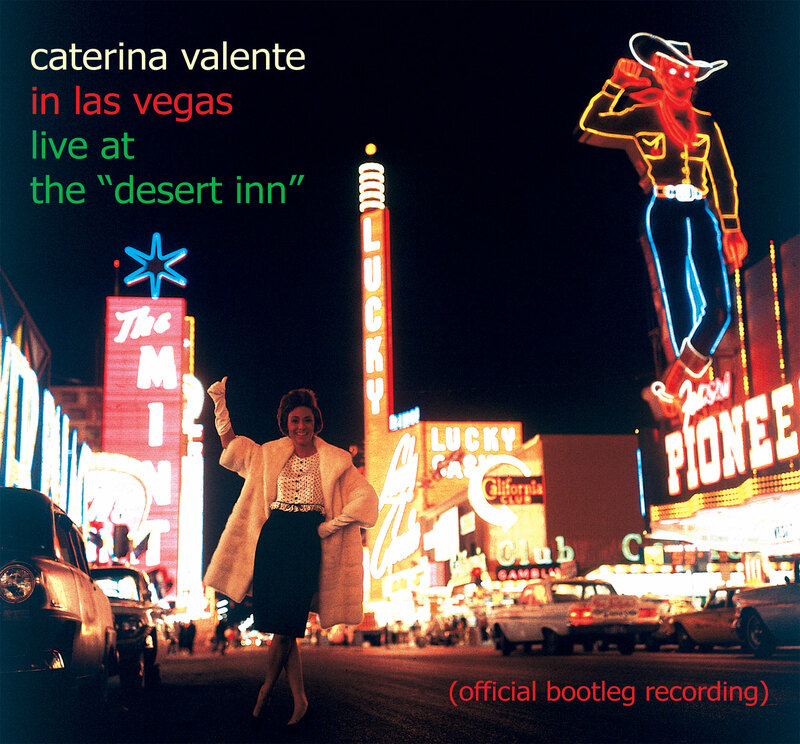 Las Vegas welcomes Caterina Valente and the critics flip! Caterina was on for 40 minutes and she sang 13 numbers to absolute capacity audience including Ed Sullivan and Danny Kaye and bowed off to what could only be called an ovation. That was the enthusiastic headline of the “Los Angeles Times,” after opening night. She sang standouts like “Till” in Italian, “Malaguena/The Breeze and I” (in Spanish and English) and “Mack the Knife” in its original German. Her fresh approach to oft-heard numbers is a vocal treat. She’s not the usual singer with the stereotyped way with a song—such numbers as “Moon River” accompanying herself on guitar “Falling in Love” and “The Party’s Over” had her listeners applauding as if they had never heard them before. In addition to the Vegas concert, the CD contains four bonus tracks. It is known, that during the breaks for television or studio recordings, Caterina would often grab her guitar and perform requests for colleagues and collaborators such as “It might as well be spring,” “Insensatez” and “Teu olhar triste”, as published on this CD. This clearly shows why Valente is known the world over as one of the great bossa nova artists. Eric van Aro, found these historical musical jewels in the lavish audio archive of his mother Caterina and produced this CD release. !